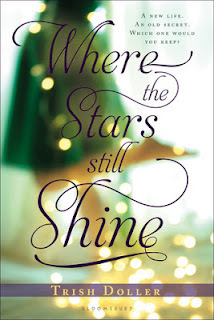 Where the Stars Still Shine has been on my TBR list since before it had this title. After reading Trish Doller’s debut Something Like Normal, I did myself a favor and kept up with any future projects she had brewing. Once I had this baby in my hot little hands, I knew I couldn’t resist it. 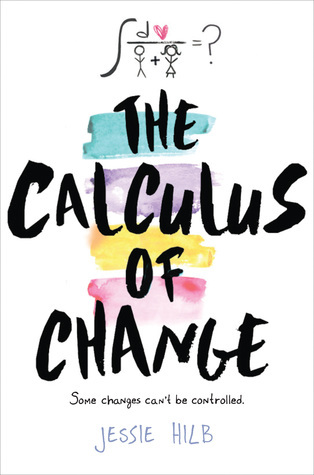 And so I should let you know that I read this one from cover to cover less than 12 hours after I received it, and I was so anxious to finish it that I was almost late to work this morning. That’s a good book. Last time, I praised Trish on the authentic voice for Travis the Marine. I couldn’t help but wonder how she would fare in tackling a female voice this go-around. I did occasionally think of Travis as I read Callie’s words, but mostly because I love how different they are. Callie’s voice is another to be praised. She has been through so much in her seventeen years. Her mother took her away from her large Greek family in Tarpon Springs to travel gypsy-style all over the country, and her experiences weren’t what a little girl should ever have to go through ever. To go from the nomadic life back to her “hometown” full of expectant people who want her to be the same girl she was as a child is not an easy transition. Often, as an adult who reads YA, I want to shake these girls for making terrible decisions, but then I remember that 1- I have the blessing/curse of hindsight and 2- they are teenagers. Teenagers gonna teen and do what they want because they feel like it. Callie is a bit different-- she didn’t know there was another choice she could make. When she would wander off without letting her (actually present which is so rare in YA these days) father Greg know where she was going or say mean things to sort-of-cousin Kat, I couldn’t get mad. Mostly, I wanted to hug her, but then she’d call me a Space Invader. Which wouldn’t be false. The only drawback (and this is the best kind of drawback) is that I wanted more, more, more. As I grew closer to the end of the book, I wondered how everything could be wrapped up in a manner that would satisfy me. Honestly, it is and it isn’t, but the fault, dear Brutus, is not in our author but in this reader right here. The story ends sufficiently for the characters as it should, but I love them so much I want to know what happens next. Though, really, who doesn’t want more Alex Kosta? I wouldn’t mind invading his space… In all honesty, Alex and Callie’s relationship is one where I couldn’t properly pine after the boy. They truly understand one another and belong together. It’s lovely to see Callie start to feel safe with someone. There’s a Cher-and-Josh-ian quality to Callie and Alex. That’s undeniable. So yeah, you might say I adored Where the Stars Still Shine just a bit. You might also say that I would love to share a pint and a laugh with Trish Doller. Finally, you might want to pick this one up the moment it goes on sale. Callie’s story is one I won’t soon forget. Okay, you already had me early on in this review (because I too loved Something Like Normal) but you really got me with the Cher and Josh comparison. This one just shot to the top of my TBR.